A Russian billionaire says he's planning to build the world's biggest hockey arena. Gennady Timchenko, the president of the SKA St. Petersburg hockey club, tells Russian media the new arena will have a capacity of 22,500 and could host the 2023 world championship. A Russian billionaire says he's planning to build the world's biggest hockey arena. 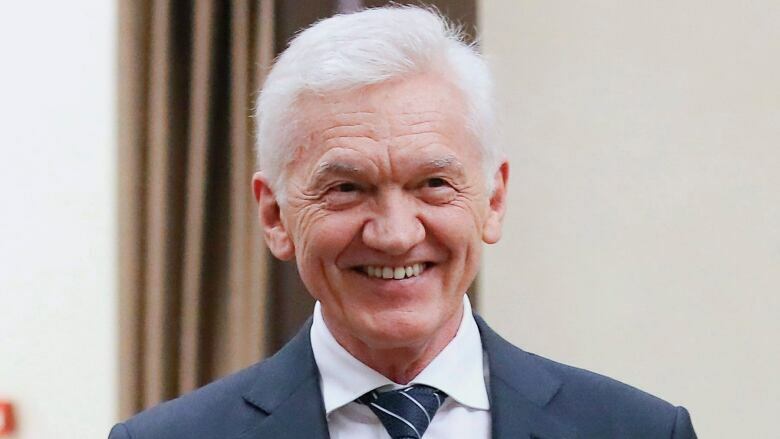 Gennady Timchenko, the president of the SKA St. Petersburg hockey club, tells Russian media the new arena will have a capacity of 22,500 and could host the 2023 world championship. The host city or cities for that tournament haven't officially been chosen yet. Construction on the as yet unnamed arena is predicted to start next year. It will cost around 20 billion rubles ($295 million US). The Bell Centre in Montreal is currently the world's largest arena to host regular hockey games, accommodating 21,288 fans in its hockey configuration. However, much larger attendances have been recorded at one-off outdoor games in stadiums usually used for other sports.